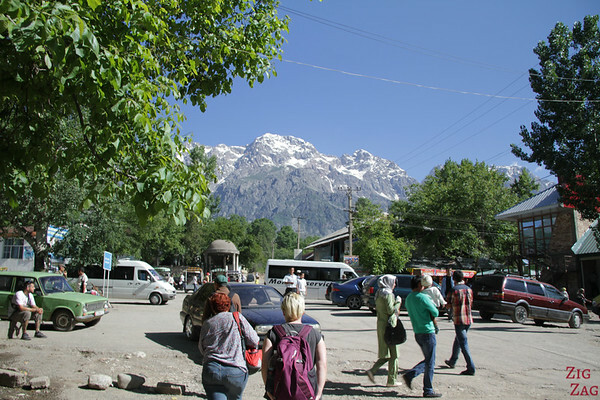 Beautiful mountains and hills, ancient forest and friendly locals, Ars﻿lanb﻿ob attracts many visitors. 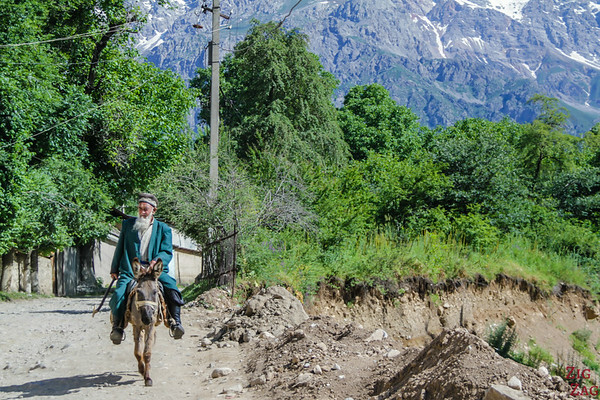 Located in South Kyrgyzstan it offers many activities including hiking and horseback riding. 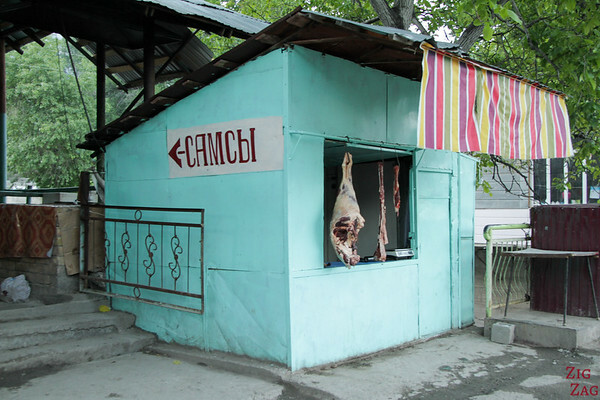 This was not my favorite stop on our trip, but I can understand the appeal, especially during the summer heat and the harvest season. 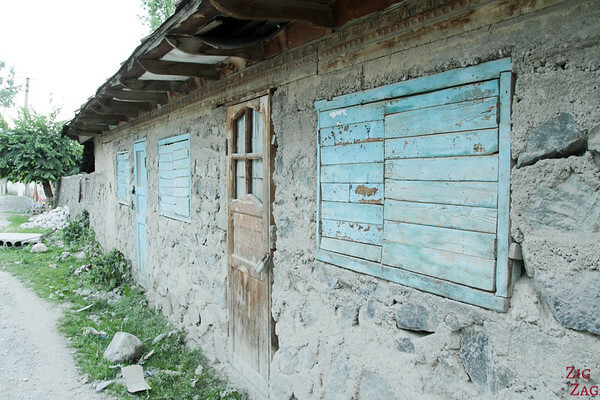 Arslanbob is one of the top destinations in Kyrgyzstan both for foreigners and local. 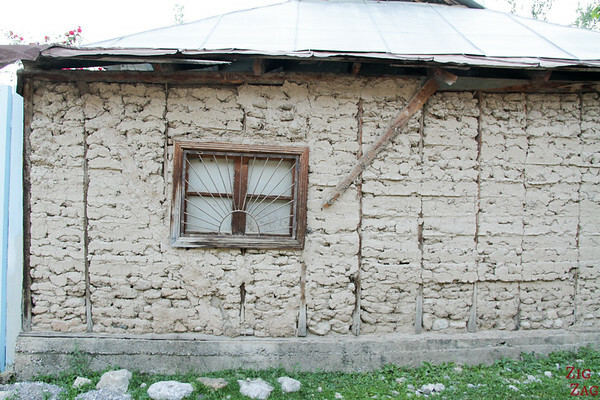 The spread out picturesque village lies in the mountains surrounded by an ancient walnut forest. 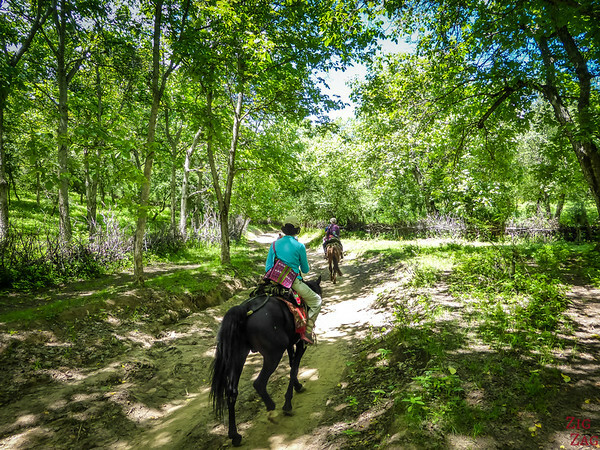 Here you can enjoy hiking and horseback riding in summer and skiing in Winter. 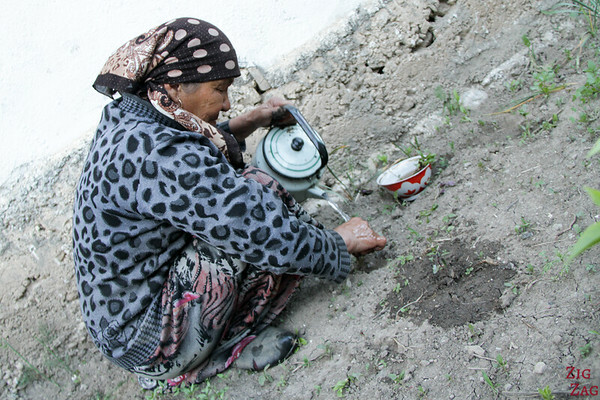 the CBT (Community Based Tourism) is very active here and will find you accomodation. 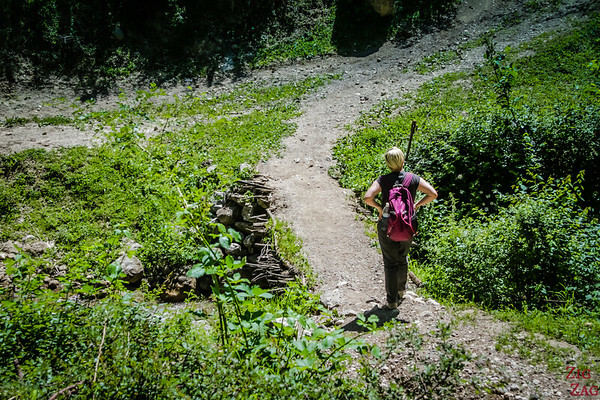 Hiking trails are not marked so better hire a guide. 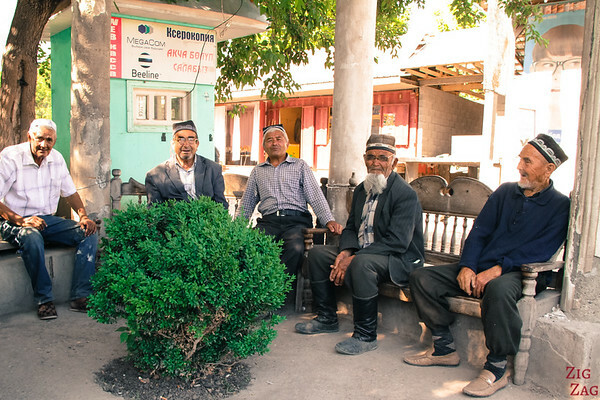 The people in Arslanbob are mostly Uzbek. There were all very friendly. The kids were very happy to exchange with us and kep repeating 'hello hello' when they saw us. Just walking around the village was enjoyable. When color is applied to doors and windows it is mostly blue. 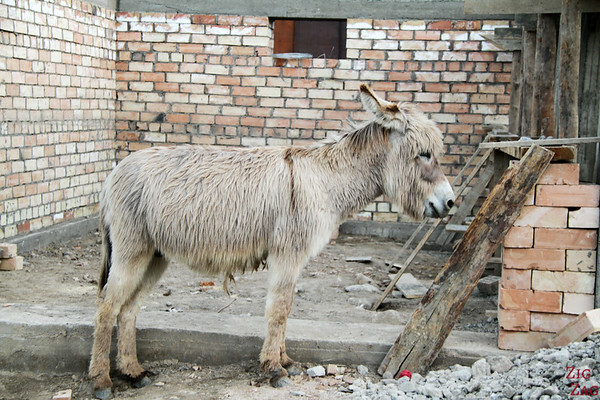 It saw there the most beautiful donkey in the whoel country. We were all walking around it taking picture and it did not move at all! Those men were here when we left in the morning and when we came back in the afternoon. Just chatting. They all agreed to get their picture taken. Very nice. 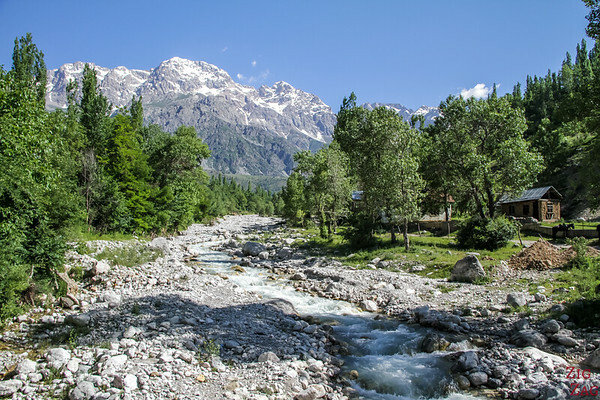 The whole village is surrounded by mountains and the river flows in the middle. 2 waterfalls can be reached through hiking path. 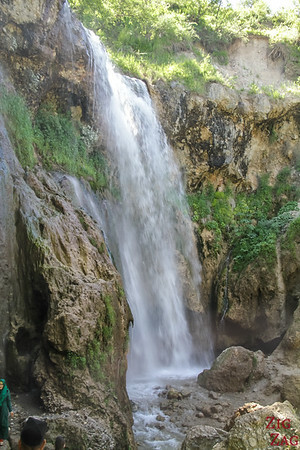 The small waterfall (23 meter high) is an easy walk. 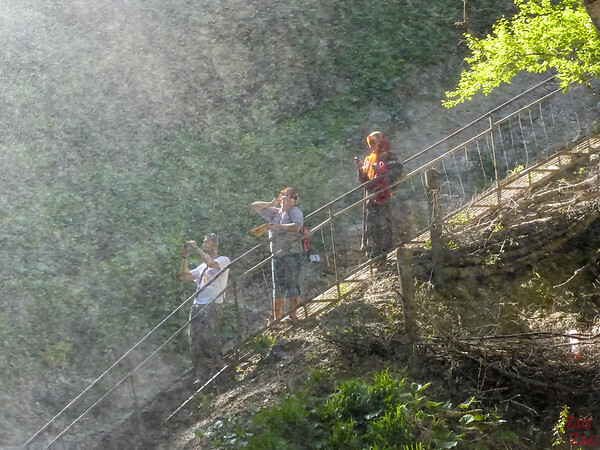 There are many souvenir sellers just before entering and in the cliff opposite is a small cave known as the “Cave of Forty Angels”. I must admit that I was a bit disappointed b y the waterfall which is quite common (especially compared to the waterfalls of Iceland). However I enjoyed watching the visitors from Kyrgyzstan enjoying their break in the mountains. 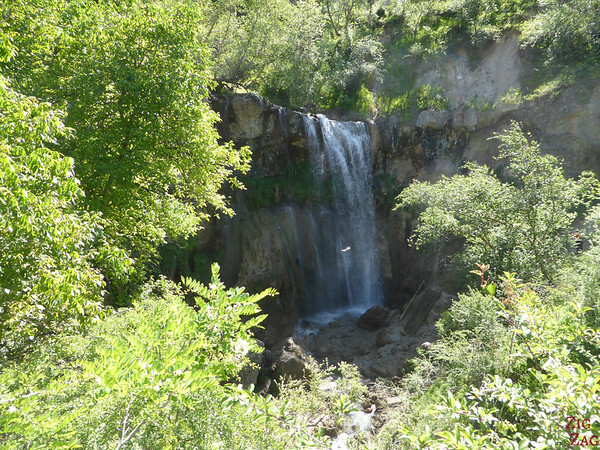 Their is also a bigger waterfall (80 meter drop). The hike is a 4 hour loop. The guide told me that most fo it was easy but the end was very steep and difficult. After the waterfall we walked to a viewpoint over the village and mountains. 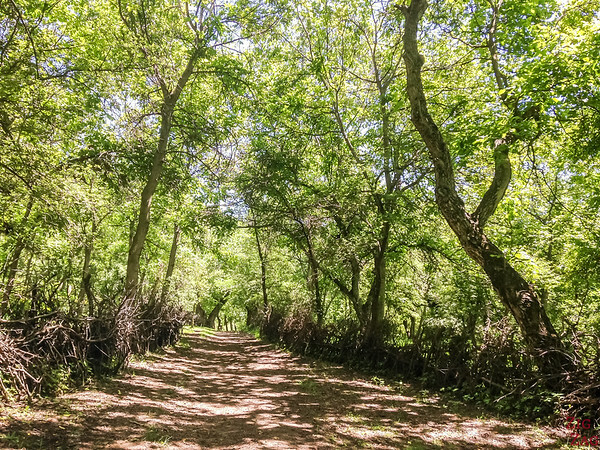 Then we started walking in the forest. This was my favorite part and it felt very peaceful! 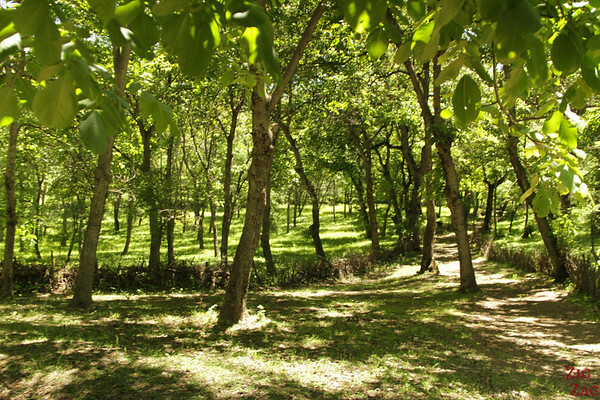 The walnut forest coveres roughly 11 000 hectares and is located on the Fergana Range between 1000 and 2000 meters. 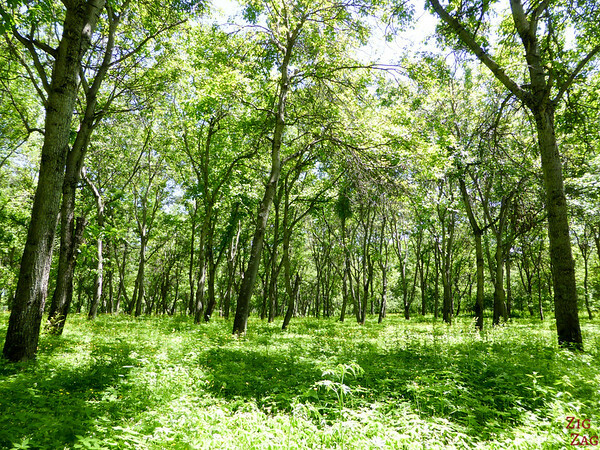 The trees can live to about 1000 years and reach a height of 30 meters. 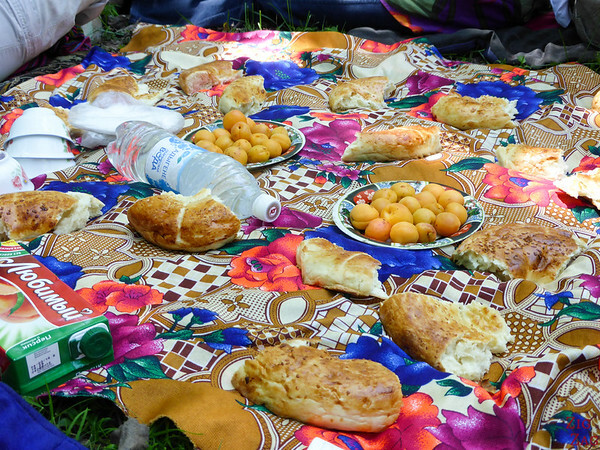 We also had a picnic and an amazing one!!! 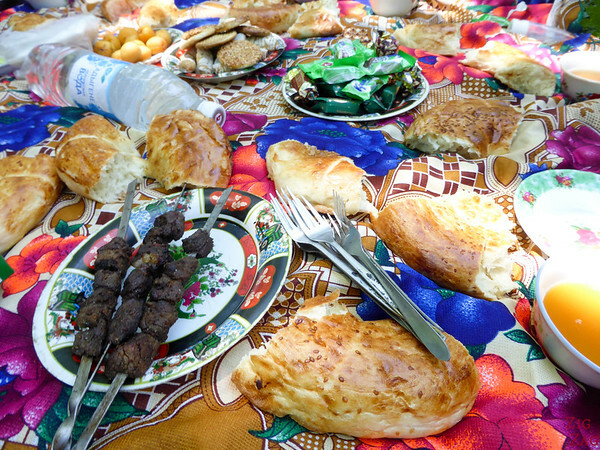 We were already quite happy with the bread, fruits, sweets, juices...​ But they also brought us kebab and tomato/concumber salads! 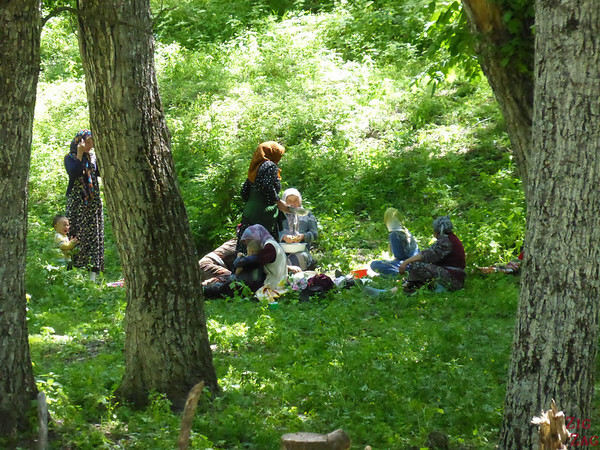 Have you ever had such a picnic in the middle of a hike?